22/03/2019: We visited on a weeknight as a party of 20. 31/03/2019: This really is a good pub restaurant. The food is consistently good, nice sensible portions, good beer and good prices. Staff are friendly and attentive. Happy to travel to visit this place for good food. Would highly recommend and I hope you maintain your good reputation. 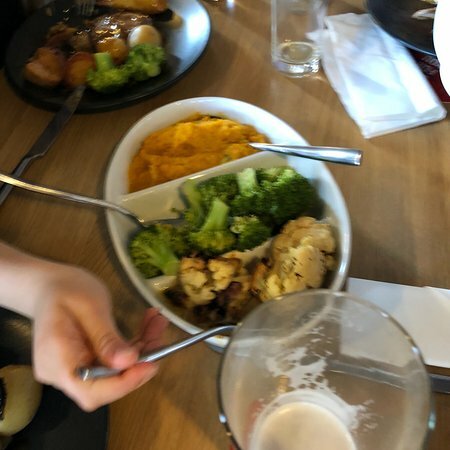 29/03/2019: We recently visited The Lion for an anniversary meal. I visited The Lion prior to book us in and was pleasantly surprised at how busy the bar area was, it had a good-natured ambience. 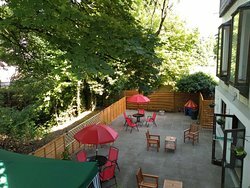 We live nearby and had always assumed it was quiet, not so, the bar has a double door which limits the sound entering the residential area. The staff were kind enough to let me take a menu home before we arrived, nothing was too much trouble. 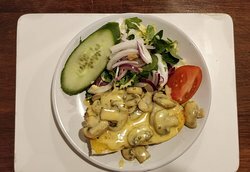 19/04/2019: 12 months on from my original review this review is after my second visit during that time. It is disappointing that smokers still congregate around the entrance; not very welcoming and with Windows open not a pleasant environment to eat. Furthermore this visit was marred by the bar staff who where oblivious to people waiting to be served (not to mention their colourful language) and it was surprising to hear that there was no cod (plaice is no substitute) - this being on a (Good) Friday. Instead of getting better it has taken a retrograde step. This said the quality of good remains good. 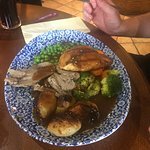 13/04/2019: A great traditional pub with superb traditional food right on the doorstep, what more could you ask for. 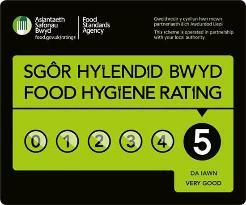 Congratulations to "The Queen Inn" and staff. Not a pub in the area can compare. 03/04/2019: Finding a family run pub with a great atmosphere, lovely food and drink and excellent service isn't easy these days. 14/04/2019: Went here for a 40th birthday meal and there were about 16 of us. Food came out together, hot and was exactly as expected. I had the lamb which was generously portioned and cooked to absolute perfection. If I'm being hyper critical I would say some food lacked a little sauce but I'm sure they would remedy this if asked. Overall, absolutely superb and will definitely be visiting again. 16/04/2019: A very pleasant atmosphere, well run by Leslie. She sometimes has theme nights, very good. It also has a garden. 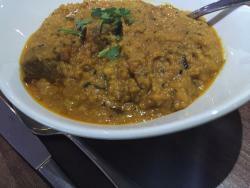 20/03/2019: Regularly visit this place for the friendly atmosphere and lovely home-cooked food. I especially like the lemon meringue pie! 16/04/2019: Ordered on just eat and delivered within an hour. 24/03/2019: Have eaten both takeaways and sit down meals here and always enjoy it. Lots of choice and food is always tasty. Owner is very friendly and always looks after us when we visit. Great local Indian!! 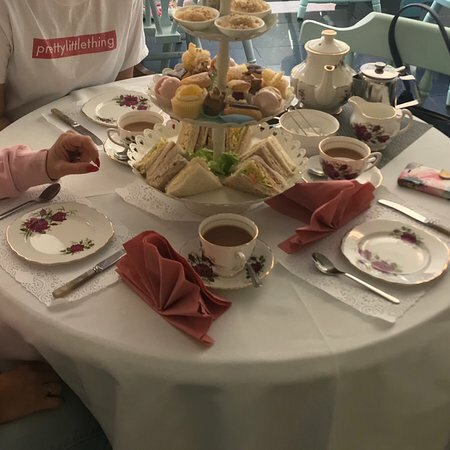 16/04/2019: Phoned in advance told them it was a birthday so they put balloons and banners up, staff very friendly and very very quick with taking plates away, gave a complimentary cocktail with cakes on a plate, food was lovely not many starters to choose from but that was reflected in the price, highly recommend and will be going again. 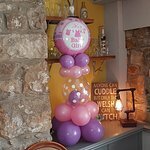 14/04/2019: Booked a meal for my husbands birthday,Great welcome by staff with balloons and banner on the table. Food was excellant. 06/04/2019: Service was fantastic from the moment we went in. The waiters are a real credit. The restaurant is beautiful. We were a large group and we had no problems. The food was delicious. We went on the evening of the special offer which was brilliant value, but in truth normal prices are very good. I will go again and be recommending it to others. 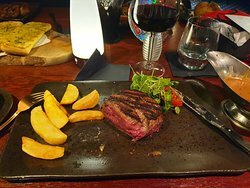 26/03/2019: If you like good service & good grub in a nice atmosphere visit here me & my partner have started visiting here most Saturday nights & the waiters can’t do enough for you it’s a lovely place keep up the good work guys !!!! 07/04/2019: This is a lovely pub much bigger than it looks from outside. The staff are really nice, they are friendly and can’t do enough for you. 08/04/2019: Went here for Sunday lunch with my mum, dad, partner and 4 month old. The staff were so lovely. 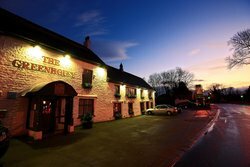 I don't remember a time i have been into a restaurant/pub and had such good service as we did here. When we went in with a pram a lady came over and asked if we had enough room, we did but to be asked this was so nice as usually we get looked at as if we are a burden and a pain elsewhere but they could not have been more accommodating. Another lady also asked if we wanted a high chair. The service for food and drinks was quick and the food was lovely! I would definitely recommend! Best customer service and lovely food. Also the maltesar cheesecake is delicious! 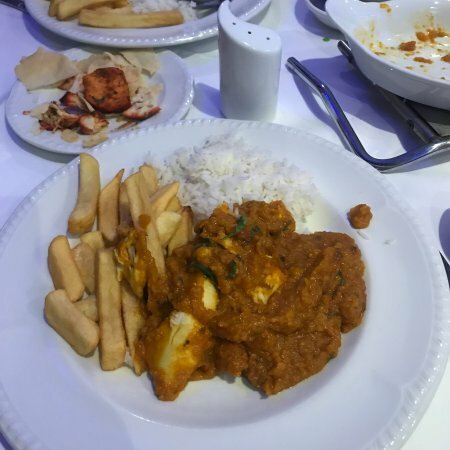 31/03/2019: Wonderful food and excellent service very well done. Thank you so much especially on such a busy day of the year. Would most certainly recommend. Excellent!!! 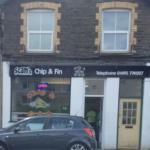 03/04/2019: Hands down the best chippy in the surrounding area . 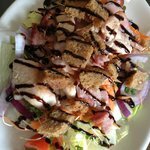 Always consistent, always fresh, always big portions and friendly staff . We refuse to go anywhere else. Highly recommended. 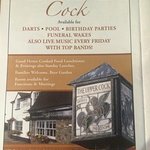 17/04/2019: visited this pub for food and drinks , excellent service from a very friendly lady named Nikita.. food was promptly served and was delicious. 16/04/2019: We often pop in for a drink, but today decided to have lunch there. I had salmon and prawn salad and my partner chose the hamburger. Both were excellent. I said that my salad was made by someone who cared how it looked and tasted.